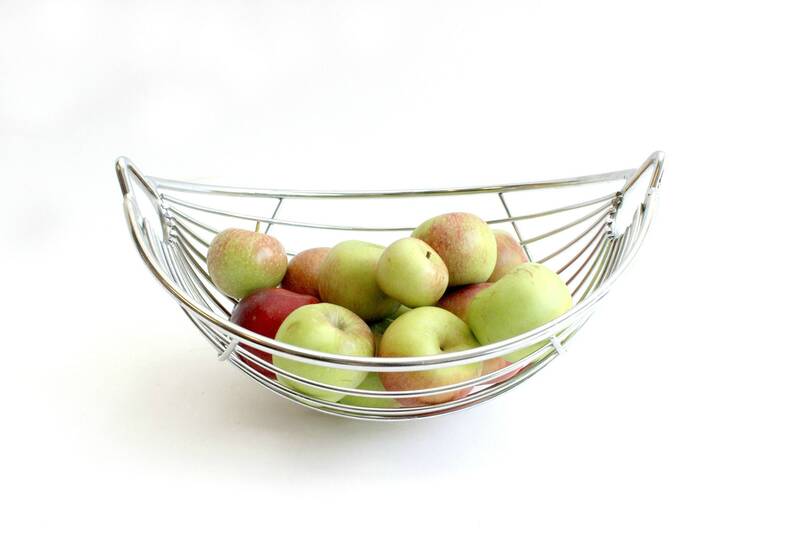 Mid Centruy metal fruit bowl. 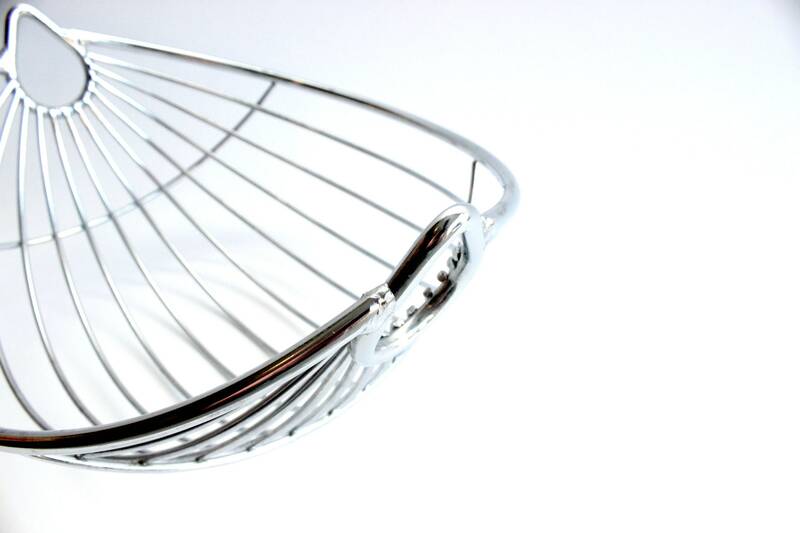 Heavy duty stainless steel wire basket/bowl. 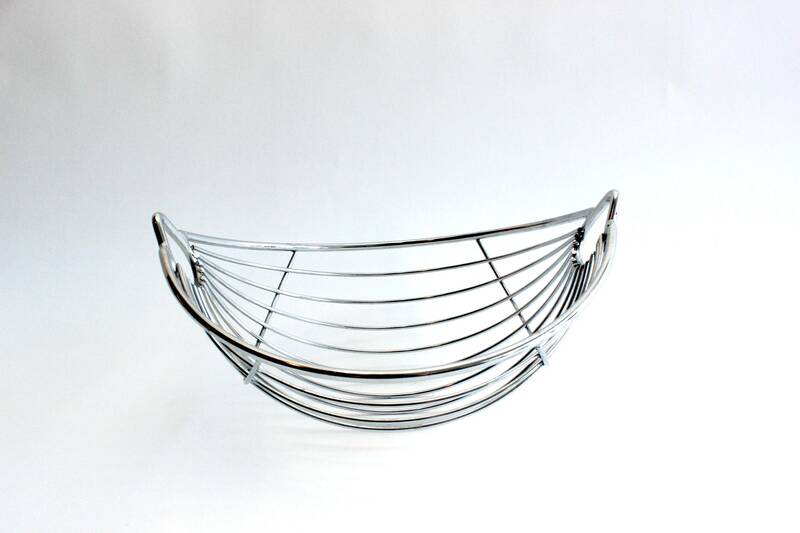 Large banana shaped bowl with rounded bottom and handles on either side. Sturdy and handsome with an industrial feel. Very good vintage/used condition. 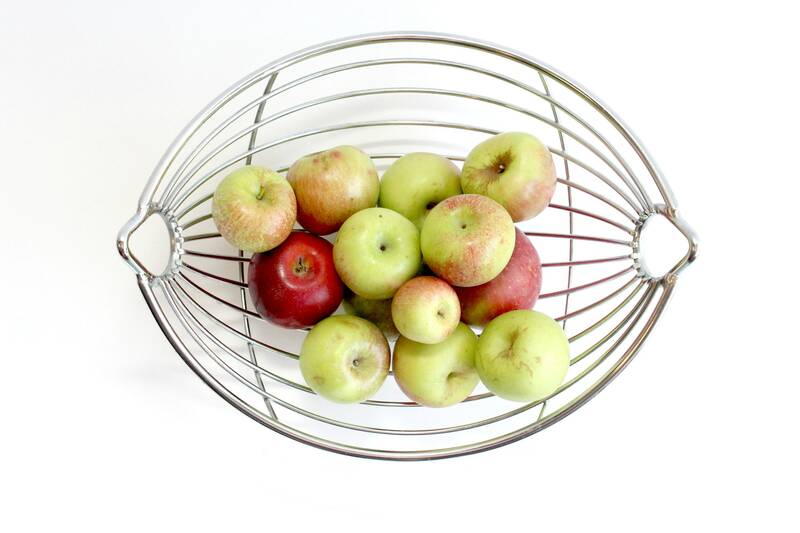 Since the bowl is rounded on the bottom, it rocks slightly if touched or weighed down on one side. 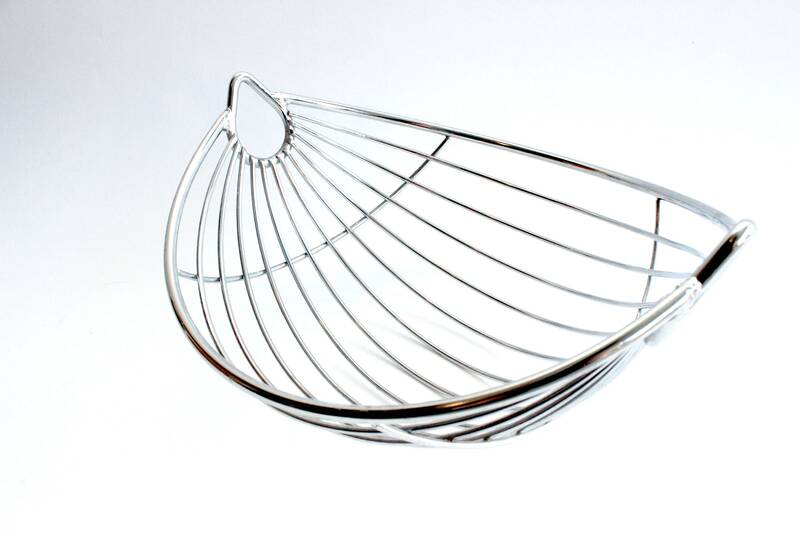 Measures 13 inches long, 10.5 inches wide, and 6.5 inches tall.